The world faces a serious issue in the wake of a fading global economy. Over the last 50 years, the pace of global economic growth has waned. According to the World Bank, annual global GDP growth in 2016 was only 2.4 percent with more than a two-fold decline over the last half-century (i.e. compared to GDP growth of 5.6% in 1966). Considering the ever increasing global population (7.4 billion by the end of 2016 compared to 3.4 billion in 1966), this is a serious issue. And escalating climate concerns such as global warming reinforce this critical situation. Industrial revolutions fuelled the major growth waves of the last two centuries. For example, the introduction of steam-powered mechanical manufacturing in the mid-19th century (the first Industrial Revolution), intensive use of electrical energy (the second Industrial Revolution) at the beginning of the 20th century and widespread digitalisation (the third industrial Revolution) in the 1970s uplifted the world economy. These three industrial revolutions injected massive productivity improvements in different forms into every sector of the economy. Since the third Industrial Revolution, engineering and science have come a long way. However, over the last half-century, countless attempts to revitalise productivity failed to lift the declining efficacy of the manufacturing sector. For example, industrialised nations relocated their factories offshore to reduce costs and take advantage of cheap labour. Such attempts inspired productivity but only lowered costs for a short period because labour didn’t remain cheap for long. Following the last Industrial Revolution, we made all the tweaks to the model that were possible – and hit the limit. When all our attempts to fix the manufacturing model failed, we assumed that growth could originate elsewhere. For example, we hoped that the internet could create growth. Indeed, it changed our lives, made big waves in the media, and the service and entertainment spaces… but it hasn’t done much to enhance productivity. Surprisingly, productivity is on the decline despite all efforts to innovate. We failed to reinvent the manufacturing space as massive technological innovations such as the internet moved away from it. But what if manufacturing and internet related technologies came together to create the next major manufacturing reinvention? It is already happening and the world is on the verge of the fourth Industrial Revolution. ‘Industry 4.0’ as it is commonly known is more far-reaching than connecting our devices and machines through the internet, often referred to as the Internet of Things (IoT). According to industry experts and research, the internet will facilitate communication between humans, machines and products alike. In other words, machines will be able to acquire and process data, and control certain tasks, as well as interact with humans through interfaces. According to industry practitioners, the fourth Industrial Revolution will boost industrial productivity by more than a third. For example, leading automobile manufacturers in Germany such as BMW and Mercedes-Benz already use advanced manufacturing robots that collaborate with humans, and can be programmed to perform complex nonrepetitive tasks. Such technologies are already complemented by revolutionary technological innovations such as additive manufacturing, 3D printing, horizontal or vertical integration, augmented reality, the cloud and cybersecurity, big data and analysis, and simulation and the industrial internet, which will leverage on further improvements in productivity at the factory floor level. 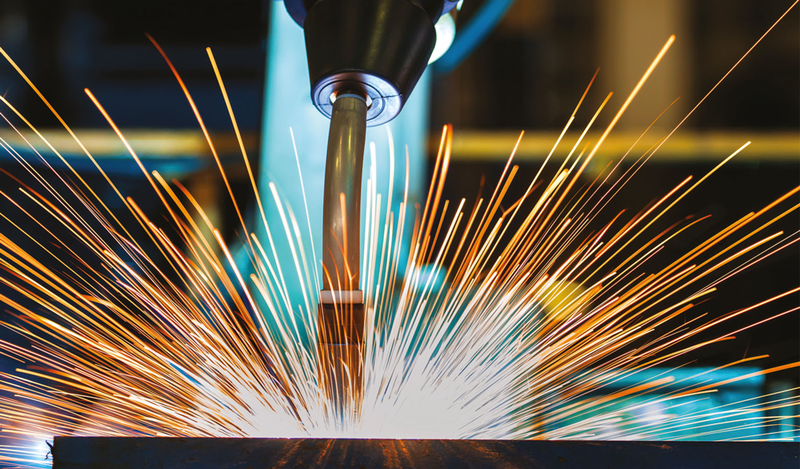 The most exciting part of this new manufacturing revolution reaches beyond productivity. It is about producing better and smarter products, and scale customisation. The factory of the future (also considered a ‘smart factory’) will leverage on the advantages of novel production strategies such as agile manufacturing and mass customisation. In the smart manufacturing environment, intelligent and customised products possess the knowledge of their manufacturing processes and consumer applications, and independently lead their way through the supply chain. While Industry 4.0 revolutionises the factory floor and consumer behaviour, there will be greater implications for traditional business processes. Facilities will be smaller and more agile. Production scale no longer matters; flexibility does. Factories will be operating on a multi-product and made-to-order basis. Globalisation will enter a new era and reshape itself to be more flexible. Traditional trade flows from West to East and East to West will be replaced by regional trade. The current business model has serious impediments such as piling up of stocks and necessitating products to be sent around the world before they reach end consumers. This old model not only consumes a larger portion of profit margins but also results in serious issues such as global warming. The new model, producing next to the consumer market, will be much cleaner and thereby better for the environment. It will create massive opportunities for developing economies by generating employment, enhancing productivity and increasing economic growth. One of the most endearing aspects about ‘Industry 4.0’ is its capacity for automation. With all the technological advancements that have come through the pipeline, it was just a matter of time until automation happened – at this scale across the planet. However, since the world’s population is increasing rapidly especially in less than developed countries, this also brings forth issues such as future employment problems. Especially in the light of automation – which will account for a lot of jobs (being lost to factory automation) – things are going to be interesting as Industry 4.0 rolls out.